PEPLUM star and world champion bodybuilder Reg Park had a son and called him Jon Jon. As the photos above show he was also into physical fitness. 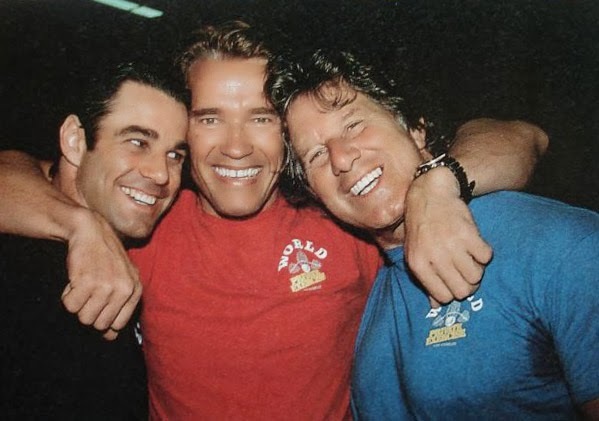 Those photos are from an exercise book by arnold schwarzenegger, who is pictured below with Jon Jon and Reg. Would he have been able to follow in his father's footsteps and make it as a PEPLUM star?